Neuropathy is a condition in which the nerves have been damaged, often in the extremities such as the hands and feet. It is often accompanied by pain, burning sensations, tingling, and numbness. The result is that those who suffer from neuropathy have a significantly decreased overall quality of life. Various kinds of medication do exist, but these are often not effective for long and the often have significant side effects. Thankfully, there are various supplements on the market that can help improve the situation. One such supplement is Nerve Shield. In this review, we'll take a look at this particular product, helping you to decide whether it is right for you, by looking at the following. Nerve Shield is a daily supplement that is gluten free and all-natural. According to the manufacturer, it supports the healthy functioning of nerves. Specifically, the ingredients are aimed to restore the good health of the myelin sheath and improve blood circulation. The ingredients are also antioxidants and anti-inflammatory agents. 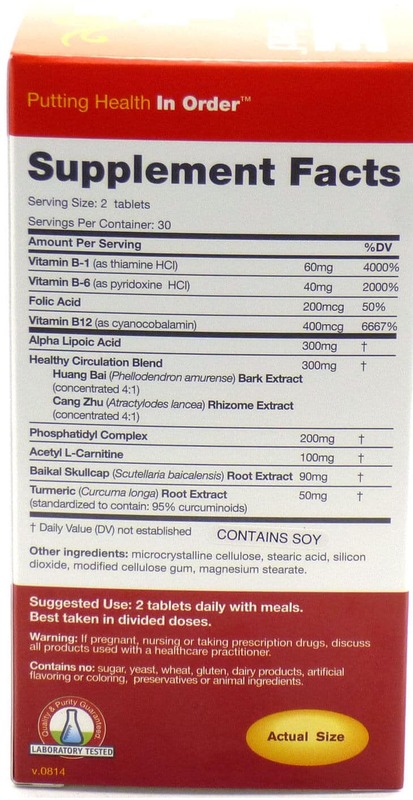 REDD Remedies is the manufacturer behind this particular supplement. They pride themselves on having spent a long time making the product go through research and development, ensuring that they would find the best herbs, vitamins, and minerals to support nerve health. The ingredients are based on Western, Eastern, and Ayurvedic medicine. The company takes a holistic approach to health, ensuring that only the most natural, pure, and highest quality ingredients are included to support overall bodily health. Nerve Shield gets to work on damaged nerves. One tablet should be taken twice a day but the results can only be expected to become noticeable within around 90 days. The product targets the peripheral nerves, protecting the somatic nerves in particular, which we use both at rest and during movement. According to REDD Remedies, Nerve Shield works mainly with the somatic nervous system, or SoNS. This means it works on both the efferent nerves (for movement) and the afferent nerves (for signaling to the brain), focusing on sensations of heat, cold, and pain. They have explained that nerves are covered by a myelin sheath, a protective layer that consists of 75% lipids. Most people with neuropathy have experienced damage to their myelin sheath, due to injury, inflammation, or lack of nutrients. Nerve Shield aims to restore those nutrients that make up the structure of the nerve itself by improving overall healthy circulation and reducing inflammation. When inflammation is present, or circulation isn’t optimal, then the nerves are unable to access all the necessary nutrients. B vitamins, which are used by the myelin sheath to become and remain healthy. Various studies, including ‘Vitamin B complex and vitamin B12 levels after peripheral nerve injury’, completed in May 2016, have shown that B vitamin supplementation could be beneficial in the treatment of neuropathy. Alpha-lipoic acid, which are used to improve the autonomic nervous system. A number of studies such as ‘Possible role of alpha-lipoic acid in the treatment of peripheral nerve injuries’, completed in May 2010, have shown that alpha-lipoic acid is beneficial in outcomes for neuropathy patients. Acetyl L-carnitine, which maintains the fibrous structures of the nerves, protecting them from free radical damage and encouraging production of glutathione. A number of studies, including the April 2016 study, ‘Acetyl-L-carnitine (ALCAR) to enhance nerve regeneration in carpal tunnel syndrome: study protocol for a randomized, placebo-controlled trial’, have shown that acetyl L-carnitine is beneficial in the treatment of neuropathy. Turmeric and Chinese skullcap, which are two herbs that are known to be anti-inflammatory and to encourage increased cellular growth. Curcumin, the active ingredient in turmeric, has been extensively studied for its benefits, including in the study ‘Curcumin Alleviates Neuropathic Pain by Inhibiting p300/CBP Histone Acetyltransferase Activity-Regulated Expression of BDNF and Cox-2 in a Rat Model’, completed in March 2014. Hung Bai and Cang Zu, which are two kinds of Chinese medicine used as an anti-inflammatory, to improve circulation of the blood, and to treat jaundice, as demonstrated by the July 2015 study, ‘The search for novel analgesics: targets and mechanisms’. Phosphatidyl choline, which is the very lipid that is contained within the myelin sheath. This has excited scientists for some time now, since the November 2009 report found at https://www.ncbi.nlm.nih.gov/pmc/articles/PMC2782876/. It is designed to improve circulation. Thanks to the alpha lipoic acid, circulation should indeed improve, including towards the central nervous system. It should take just 90 days for clear improvements to be noticeable. It protects the myelin sheath in particular. Due to free radical damage, this sheath gets destroyed over time, leading to oxidative stress and, eventually, neuropathy. Nerve Shield is both fat- and water-soluble, which means it is highly bioavailable. It also means that vitamins C and E can be repurposed and used specifically to protect the nerve tissue. It contains turmeric, which has been scientifically proven to help support the health of nerves and to improve circulation. It targets inflammation, which is known to be a cause of neuropathy. It contains vitamin B6, which helps to improve myelin sheath health, allowing it to better send and receive neural impulses. It contains vitamin B12, which ensures the myelin sheath’s fatty acids remain balanced, thereby preventing various neurological disorders. It contains folic acid, which is known to assist in the proper and healthy development of the entire nervous system. The ingredients work in synergy with each other, combining vitamins, amino acids, and antioxidants. Hence, it takes a holistic approach to resolving issues associated with neuropathy. Because the product is manufactured using quality tested, natural ingredients, it is completely safe to use. To date, there have been virtually no reports of any side effects. Instead, it has a holistic and positive impact on overall health. 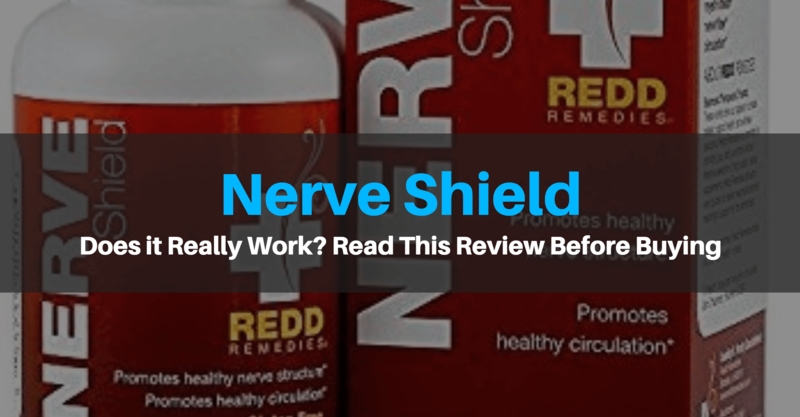 There have been a number of critical reviews of Nerve Shield, although most are positive. Some customers have stated that the product increased their level of vitamin B6, which has the potential to be dangerous. On Amazon, other customers stated that the product did not work. However, none of the complaints stated how long they took the product or whether they were also using other medication at the same time. 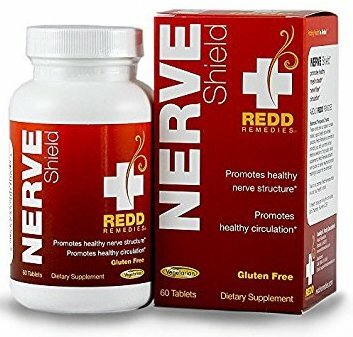 Overall, it seems that Nerve Shield is a very popular product, particularly because it does not seem to be associated with any side effects. It comes with a 30 day money back guarantee. Hence, if you aren’t satisfied with the effects, you can return the unused tablets to the company for a refund, although you may not return a completely empty bottle. Unfortunately, the manufacturer states that it generally takes around 90 days for the full effects to become noticeable, which suggests the money back guarantee is not long enough. Overall, it appears to be a good product for those who suffer from neuropathy and who have the patience to wait for the results. It is a completely natural product with synergistic ingredients backed by science. Few other products on the market today place such a strong focus on myelin sheath health, which is what really sets this product apart. It also means that anyone can use Nerve Shield, regardless of the reason for their neuropathy. However, the fact that you only receive a 30 day money back guarantee when it takes at least 90 days for the effects to be truly noticeable is a puzzle. The supplement is available from a range of different websites, including REDD Remedies and Amazon. At the time of this writing, the Amazon price was $47.99, with free shipping, for a 60 day supply. iHerb charges the same price, claiming it usually costs $59.99. Many people are rightfully concerned about the 30 day money back guarantee that comes with Nerve Shield. While there are few complaints to be found about the quality of the product and its ingredients, the short duration of the money back guarantee, coupled with the fact that it takes at least 90 days for the product to have an effect, means that many people would rather try something else. While we feel that the ingredients in the formula are good, we believe that they would be better off with Nerve Renew, which also contains vitamin D, oat straw extract, passionflower extract, and feverfew extract, to name but a few. These are all backed by scientific evidence as well. Furthermore, the quality testing in Nerve Renew is far superior to that in any other supplement. In addition, the effects are noticed much sooner, which is why our top recommendation is Nerve Renew. Click here to read our review about it. To learn more about the top neuropathy supplements online, read our guide here.